The book contains some of the most important results on the analysis of polynomials and their derivatives. 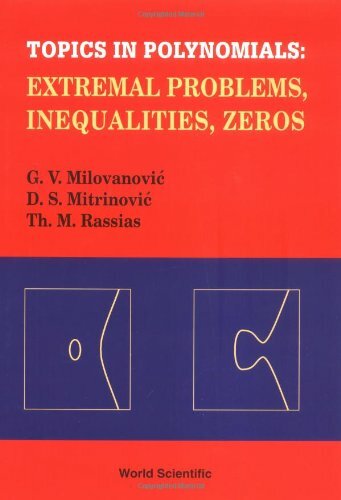 Besides the fundamental results which are treated with their proofs, the book also provides an account of the most recent developments concerning extremal properties of polynomials and their derivatives in various metrics with an extensive analysis of inequalities for trigonometric sums and algebraic polynomials, as well as their zeros. The final chapter provides some selected applications of polynomials in approximation theory and computer aided geometric design (CAGD). One can also find in this book several new research problems and conjectures with sufficient information concerning the results obtained to date towards the investigation of their solution.